Garam Masala Powder is a blend of ground spices common in North India and other South Asian cuisines. The word garam refers to the intensity of the spices rather than capsaicin content. In North Indian cuisine Garam Masala is one ingredient common in most of the non-veg recipes or spicy curries. In fact, Garam Masala is quite popular among chefs across all over the globe. Garam Masala has in it some 10 – 13 spices, which are quite strong and empowering in flavour and aroma. 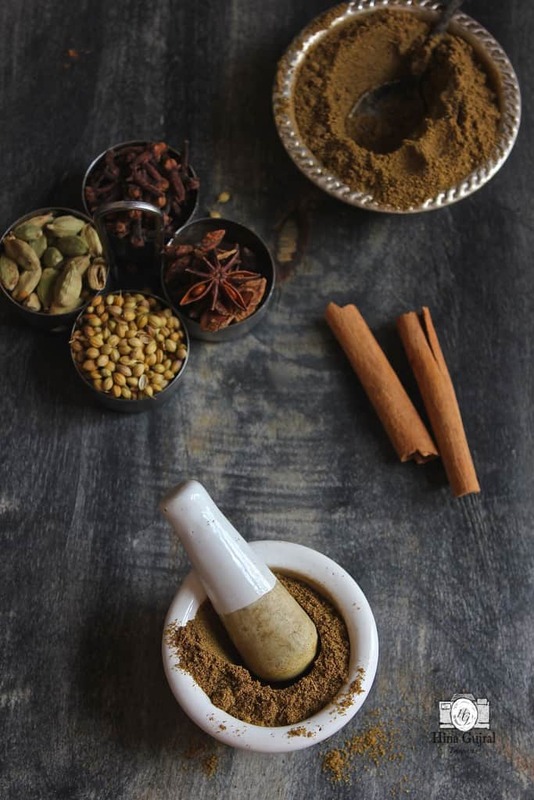 Garam Masala is an essential spice mix for everyday Indian cooking and somehow I feel in the modern day cooking it makes the task simpler, rather than adding an array of different whole spices, a teaspoon of Garam Masala is enough to brighten up the curries. I tried readymade Garam Masala of almost all the brands available in the market, some are either too hot and some are a just mere brown powder with no aroma. 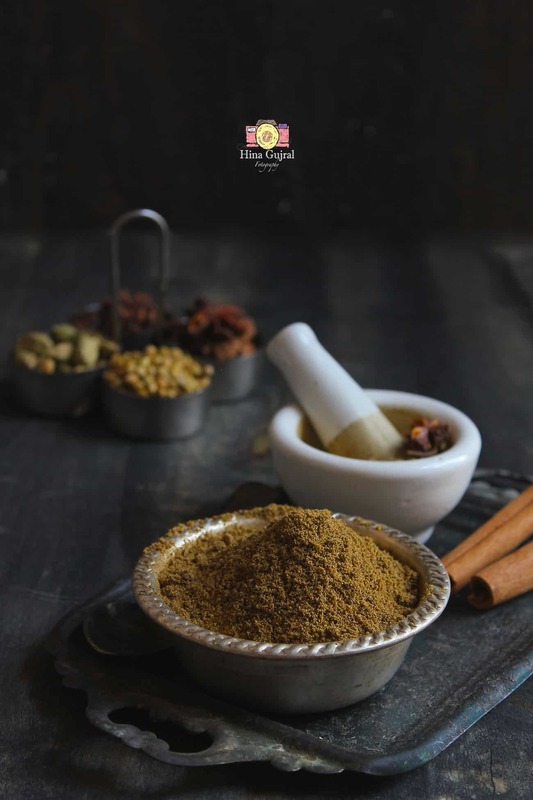 In some special recipes like Lahori Murg or Hyderabadi Biryani where freshly grounded Garam masala is added, you can feel the difference in taste, texture and aroma of the dish. Also, I have noticed that just teaspoon of homemade Garam Masala is enough to bring out right flavours in the dish unlike readymade ones, of which full tablespoon also is not enough. 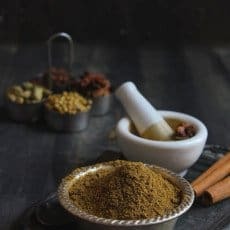 Grinding Garam Masala Powder at home is no tedious task, it is a bi-monthly routine in my kitchen which involves less than 30 minutes from the routine schedule. 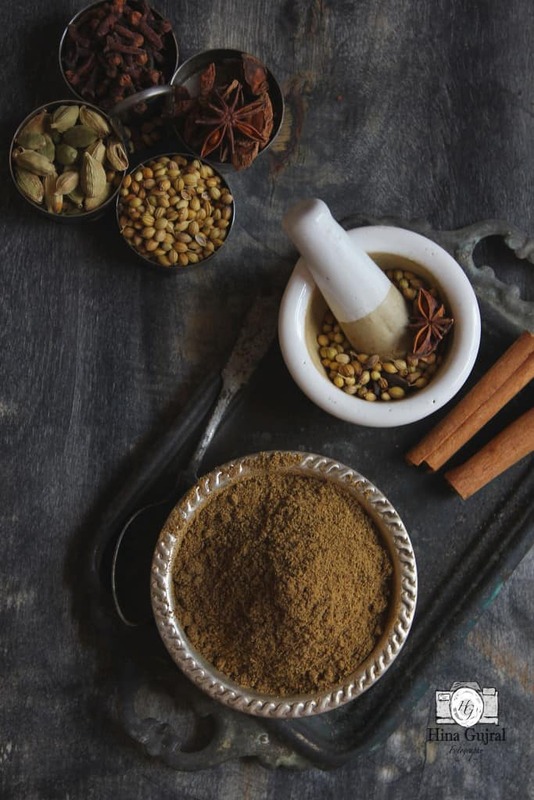 Considering the recent controversies and updates about the adulteration in the different spice mix, I would prefer to rely on a few homemade spice powder that can be prepared easily and are guaranteed unadulterated. Living in South India, I have this advantage of buying best quality spices and thanks to friends from Kerala who regularly replenish my Cardamom, Star Anise and Peppercorns supply, though in turn, I bribe them with delicious food. The whole spices found in the Southern province are of supreme quality in terms of aroma, colour and taste. 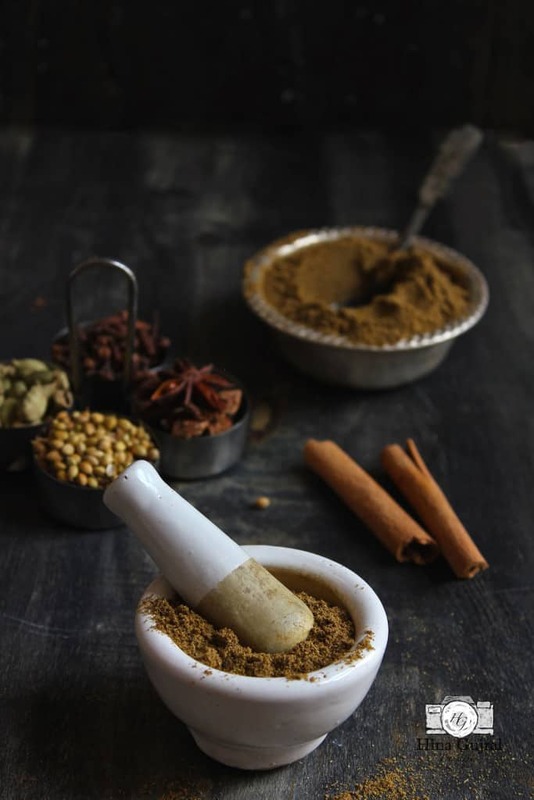 The traces in the history indicates how the trading of spices brought wealth to the traders before the modernization era and even till date few of the communities solely earn their living by exporting spices across the seven seas. Garam masala is a blend of ground spices common in North India and other South Asian cuisines. To prepare garam masala powder, first dry roast the coriander seeds, cumin seeds in a cast iron skillet (Buy it here) over medium heat. Roast until aroma of spices is released. Keep on stirring the spices. Next add the remaining spices and dry roast for few more minutes. Turn off the heat and let the spices cool down before grinding. Add the whole spice mix in a grinder (Buy it here). Blend the spices to a smooth powder. Garam Masala is ready to be used. Store it in an airtight box at room temperature.